Homework in third grade should take approximately 30 minutes. If it takes longer, please write a note on your child's homework and let me know where they are struggling. 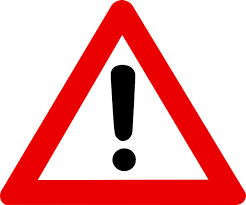 For each missed homework, students will be given a homework alert. I usually do not assign homework on the weekends, unless absolutely necessary. Homework that is completed correctly earns a ticket. Ten tickets result in a trip to the prize box. This is to push students to ask for help if they have trouble on questions. Please do not do the homework for them! Language Arts: Every Friday will be a test on the story of the week. We will also take a "weekly reading test" which is on a new story that your child will read for the first time. For this test- it is important to review the vocabulary of the week and the reading skill (these can be found on the back of the newsletter). Spelling: Practice spelling your words each night. Tests will be on Fridays. 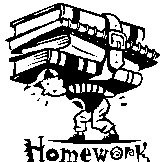 Math: Each night there will be a page assigned from the homework packet. Grammar, Writing, Science, and Social Studies will be randomly assigned. Make sure you check your child's agenda each night!